Bon Scrapatit Designs: BUTTERFLIES ARE STILL FREE Y'ALL!!! I hope to find y'all relaxed and feelin' fine as we prepare to go into the new week ahead! Robert and I had a GRAND time at Halia's second birthday party here in Copper yesterday!!! LOTS of family and friends and I even saw some little faces that I've not seen in several years that are NO longer SO little! I enjoyed snapping photos of the children who were constantly on-the-go! 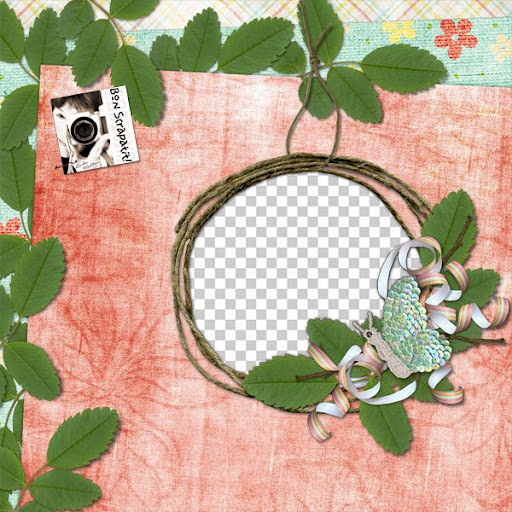 Below, you will find another "scrapatit" from *Spring Blossoms*! I can't help myself as I just ADORE this color palette and I am seeing these colors everywhere! I've used this one to scrap a photo of Halia saying good-bye to her great-auntie Nani. SOOOO sweet! I hope to have some uninterrupted time to work on a few things while hanging out in our hotel room and Robert is in training. Once he is finished, we will go out and about to see what we can see!!! From what I read, we are within walking distance of our state capitol. I've not been since I was homeschooling my children and went on a field trip. Let's just say, it's been a while!!! About 15 years I believe!!! Yes, I shall be taking lots of photos!!! Wishing you ALL a MOST fantabulous week ahead! May you achieve ALL that you set out to and if scrapping, may you be scrapping HAPPY! Thank you SOOOO much for ALL of the LOVIN'!!! You are THE BEST! MWAH! *NOTE: Just a little reminder that ALL freebies shall remain up for a week, with the exception of the blog train freebies which will remain posted until the next train departs June 1st. If you've missed them, they will eventually find their way into my store at One Single Seed, which I desperately need to be working on this week and next! Also, for those that are having trouble downloading, please try again. All links are checked ahead of time on my end and I've NEVER had trouble with Media Fire breaking links, however, if MANY people are downloading at the same time, it can cause for error messages and such. Thank you for your understanding! Birthday girl, Miss Halia, saying good-bye to her great-auntie Nani!